Captain TJ Schlick called in this morning with an audio update from the Eldorado out of Long Beach Sportfishing at Berth 55. As of 7:11 AM we had a handful of Yellowtail and one White Seabass. We are tanked with LIVE SQUID right now. We are currently on a 1.5 day trip so we will check in later today with another update. 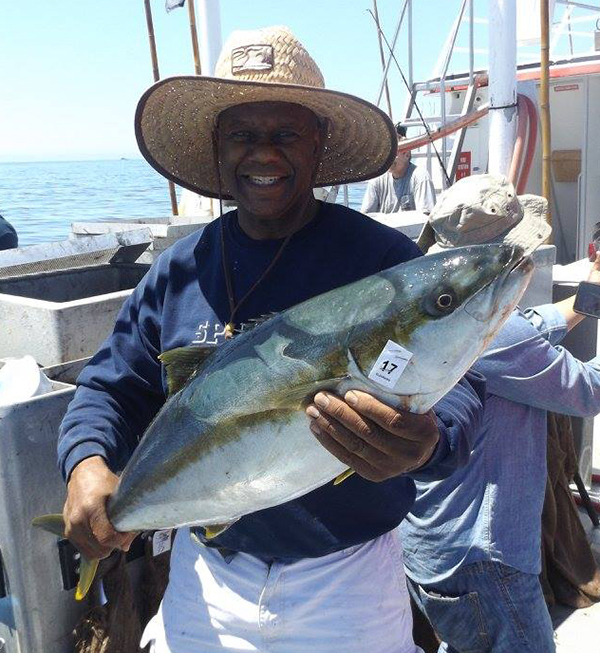 The Eldorado is currently running trips out of Long Beach Sportfishing. Call (562) 432-8993 to get in on the action or BOOK ONLINE. For more information please visit our website at www.eldoradosportfishing.com.